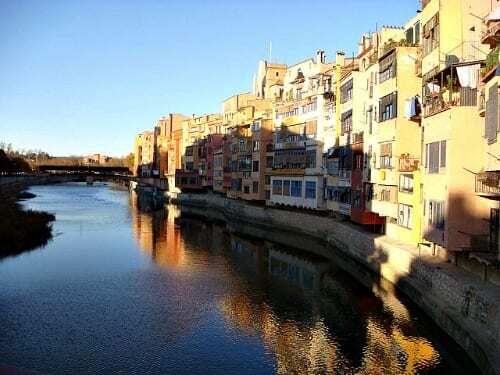 What topics will you be learning about in Girona? We’ll have three tracks: Content Creation, Commerce and Community, and Travel and Tourism, the latter for industry attendees. Some topics you can expect to learn about include: Effective marketing with your Facebook page, collaboration for better branding and profit, how to effectively use new tools like Google+, Pinterest, and Instagram, writing session, photography, podcasting, and video sessions, and a whole lot more. We’ll be confirming and announcing more speakers this week as well as getting the speaker bios and detailed session information posted on the Europe conference site. Information about the customized speed dating process will be posted soon. Only registered attendees will have access to the speed dating information. TBEX sponsors will have tables in the Expo area and industry attendees who are not sponsors may purchase a table for speed dating for $500 per day. We have lots more announcements coming up this week including information about pre- and post-conference day trips, blog trips, and more. Will we see you in Girona for TBEX Europe? Registration is still available at the discounted price of $100. We will be adding to the speaker list later this week as we confirm some of our European speakers. TBEX Europe is a smaller show than in Keystone so there won’t be as many sessions, but when the program is finished I think it will be a good mix of returning and new speakers. Thanks so much for having me in the mix. TBEX’rs, I’m looking forward to seeing you! We’re very excited to have you joining us, Chris. See you next month! WDS was the Best. Conference. Ever. I’m excited to be part of another great TBEX! Thank you BlogWorld team. Glad you’ll be joining us! Girona is full of so many great stories to be told – and photographs waiting to be taken – I’m looking forward to seeing what you come up with. Looking forward to TBEX. Not been to one before, so expectations are high! I sigend up for the newsletter link on this page ages ago, but never get anything. Only keep up to date as see the posts on my Facebook timeline. That just my issue? Should articles like this be coming too via email newsletter?? Glad you’ll be joining us Gary, and I’m looking forward to meeting you. I’ve following your podcasts for awhile now. The newsletter comes out once a week (usually on Wednesday) and contains information about all of our events as well as other information about travel and the travel industry. Have you not been getting that? Glad you follow the podcast! I agree, April. Same folks, same club. Unfortunately my proposal wasn’t accepted. Looking forward to meeting both old and new at TBEX Europe. I’m so glad you’ll be joining us Mandy. Conference dress code is pretty casual. If you plan on doing any other touring in the area you might want to ask around to see if there are any local customs and expectations that you will want to respect.